This was my first adventure in Ho Chi Minh City in Vietnam. A dedicated librarian, Barbara Wilson, at SSIS School, informed me that the school didn’t have the funds to pay my speaker’s fee. 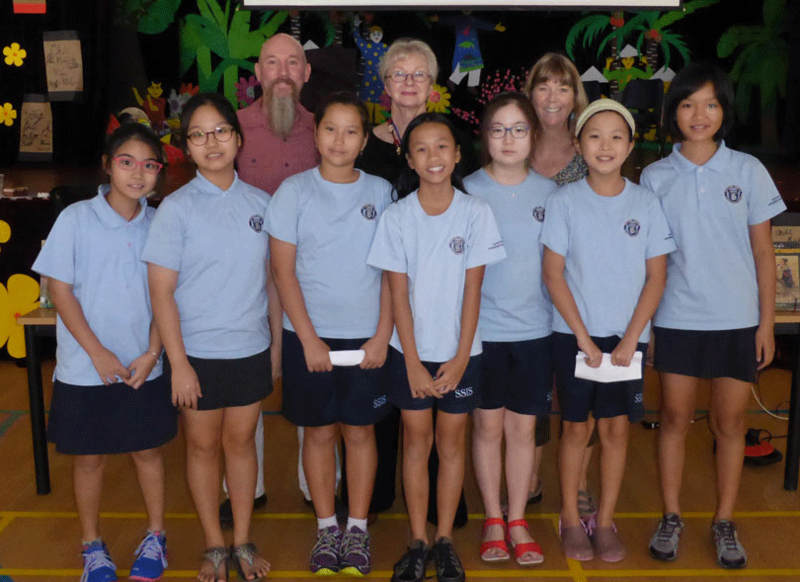 Instead Grade 5 students organised a proposal to the Parents Association to sponsor my day at the school. I’m so humbled by their efforts and it was such a pleasure to meet the wonderful students. At the ISSP School I got a little tangled with Vietnamese protocol but this was quickly solved by the clever Claire Connor. The students were so enthusiastic to learn about endangered animals. It was a special day. On the last day Regan Armstrong, the Principal of SSIS School, gave me a lift to his school. It was great because he told me so many interesting facts about the city along the way.